A Russian policeman held at gun point defied his captors who were demanding that he call on his fellow officers to quit on camera. His final moments were found on his busted killers’ mobile phones and now the authorities want to award him, posthumously. Magomed Nurbagandov, 31, was a police lieutenant serving in the turbulent southern Russian region of Dagestan. On July 10, a group of four militants walking through a forest stumbled upon him and his cousin Abdurashid. When the bandits searched their two captives, they found Magomed’s police papers and executed both men. The murders were recorded on camera and later uploaded to Islamist websites. However, the footage omitted a few seconds that didn’t play well for the militants. Police found the full video on the mobile phones of the murderers after some of them were killed, along with other militants, in two separate operations last week, according to authorities. Dagestan policeman defies militants seconds before execution. 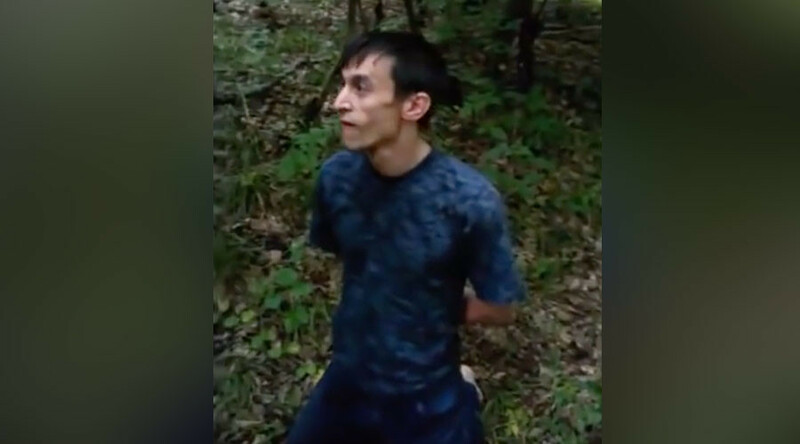 The part that was cut out, which has been released by the police, shows Magomed held at gun point while kneeling with his hands apparently tied behind his back. One of the militants asks him to confirm that he is indeed a police officer, which he does. Then another demands that he tell his colleagues to quit their jobs. He was shot in the head a moment later, according to the police. The act of bravery and defiance merits a state award, the Russian Interior Ministry said on Monday, adding that the paperwork has already been filed. “In days to come, the leadership of the ministry will meet with Magomed Nurbagandov’s family to personally thank his parents for bringing up such a decent son,” said Irina Volk, a spokesperson for the ministry. The man that killed the Nurbagandov cousins was identified as Magomed Khalimbekov, 32, the leader of a militant group, the police said. The gang is suspected of killing two other police officers in August and attempting to derail a train with a bomb. Khalimbekov was killed by the Dagestan police, but two of his suspected accomplices were apprehended.